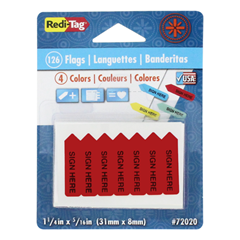 Even though these page flags are mini, they deliver big, eye-catching impact where needed. 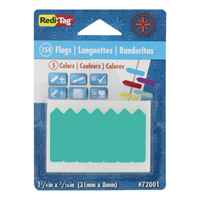 Arrow shaped page flags specifically point to and direct attention to the important parts of your documents. 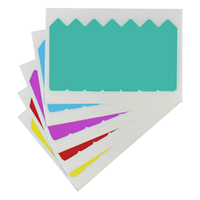 Color code your projects and the signatures that you need with assorted color packs. 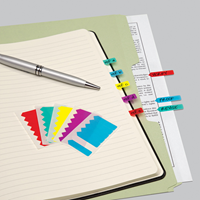 The solid color mini arrows come in 5 colors - Yellow, Red, Blue, Mint, and Purple. 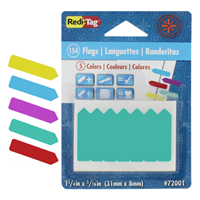 Flag size: 1-1/4" x 5/16"